Brilliant new Program from Channel 4s outstanding Dispatches-series. They have once again managed to deliver a shipload of evidence on the subversive intent of religious muslims living in the west. The pious Muslims have infiltrated a labour party, already heavily infiltrated by revolutionary socialists and KGB-sympathising traitors. 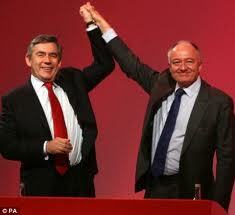 In short - the unholy alliance is successfully running things in Great Britain. Comparing the legislation in islamic republics, former socialist countries and the official Labour Party Program you have to arrive at one of two simple conclusions: Either there simply is no limit to the stupidity of the Labour Party; or they are themselves involved in a most evil scheme of deception and betrayal of their own electorate, the very people who will be first to face the consequences.